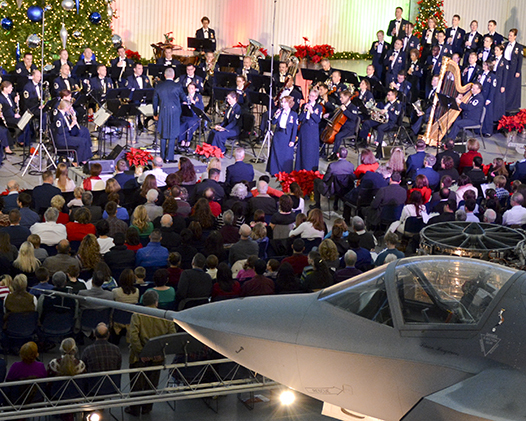 The U.S. Air Force Band performs a holiday concert Dec. 15 celebrating the 10th anniversary of the National Air and Space Museum’s Steven F. Udvar-Hazy center in Chantilly, Va . In the foreground is the X-35 Lightning II Joint Strike Fighter prototype, one of many Air Force artifacts on display at the museum. 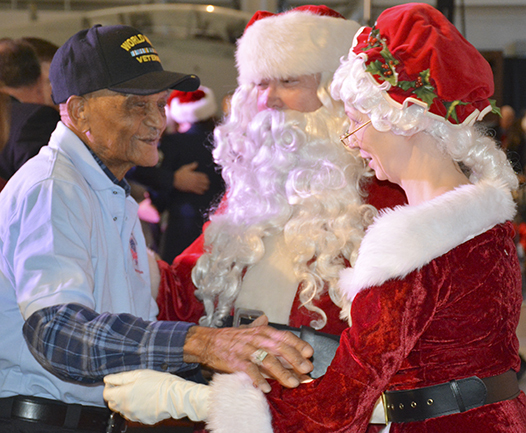 Elmer Hill, 107, believed to be the oldest-surviving WWII Navy combat veteran is honored during the holiday concert.